Dedicated to joyous cups of joe in this (ever colder!) 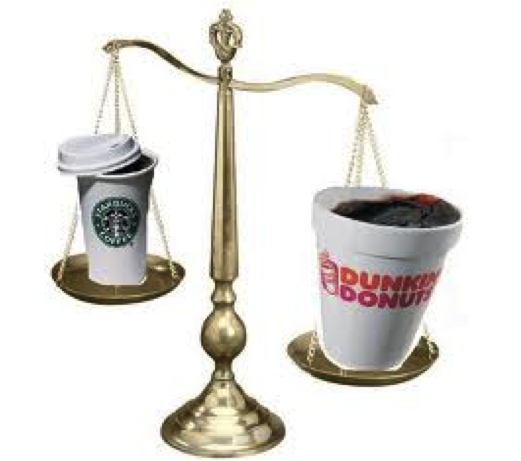 month of January, what follows is the third of four posts, which cover sections from my paper, “Dunkin’ Donuts: A Site and Source of Bostonian Identity.” Here you can find posts one and two. 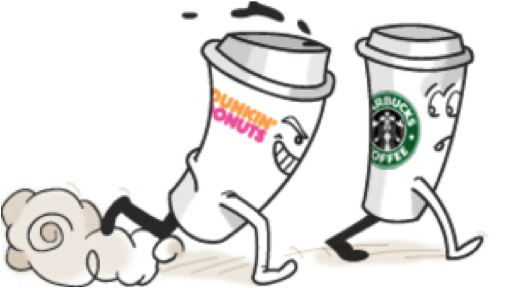 In a Washington Post article comparing an existing Starbucks store to a newly opened Dunkin’ Donuts shop in the same area, the authors vividly reveal the opposing coffee cultures of each chain, saying, “Medium vs. grande. Good, quick and hot vs. Colombia Nariño Supremo. Metal frame chairs vs. comfy couches.” These catchy comparisons reveal the differing cultural frameworks of the two chains, which are I argue align with opposing theoretical frameworks. Starbucks sells a culture of aesthetics and coffee as a lifestyle, which aligns with Pierre Bourdieu’s theory of social status and distinction. Bourdieu contends that members of higher social classes possess the resources and opportunities to secure greater economic, social, and cultural capital than the classes beneath them. This acquisition of capital thus informs their development of taste and preferences, as well as their desire to purchase objects that are rare, unique, and forms of self-expression. In applying Bourdieu’s work to coffee, some have argued that social class — or the desire to appear of a certain social status — influences coffee preferences and coffee’s associated meaning. In earlier years, Starbucks sold itself well as a luxury, appealing to a higher income demographic (Simon 2008: 37). Being seen carrying a cup from Starbucks provided a certain amount of consumer distinction. Presently, however, the Starbucks customer base is theorized to be much broader, and Starbucks coffee has thus taken on a different meaning. In his research, Bryant Simon, author of Everything but the Coffee: Learning About America from Starbucks, revealed that many Starbucks customers view Starbucks coffee as an affordable luxury (2008: 123). Even as Starbucks has become an affordable luxury for a broader customer base, however, its brand still retains a note of distinction and individual expression. The cultural framework of coffee as fuel aligns with Michel Foucault’s discussion of body discipline. He argues that discipline is widely used to control whole populations by modifying, regulating, and dividing the movements and operations of the body (Foucault 1977). By applying this principle to coffee consumption and the American worker, we see how caffeine regulates and modifies the body. Thus, coffee can be considered “an aid to successful body discipline” (Tucker 2011: 46). From the factory jobs of the nineteenth century to the tasks of the twenty-first century workforce, coffee provides fuel that allows the worker to modify his mind and body, à la Foucault’s body discipline, to suit the workday and its duties. 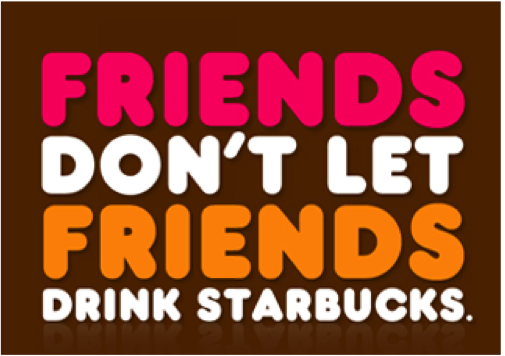 For a final dose of coffee chatter, join me next week when I ponder what the future holds for Dunkin’ Donuts coffee culture, particularly outside of New England where it is so dearly and fiercely loved.